Home / brain / education and learning / fake news / global digital society / memory problems / Propaganda / social problems / Society / sociology / Stress / Fake news - A challenge for our age - How can we protect our brain from fake news? Fake news - A challenge for our age - How can we protect our brain from fake news? Fake news - A challenge for our age - How can we protect our brain from the fake news? 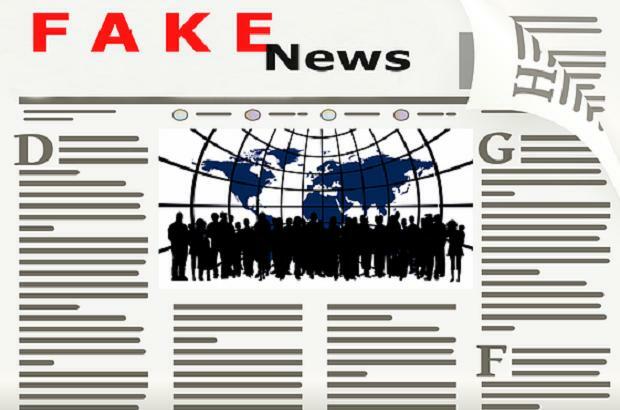 The fake news is defined as "fabricated information that mimics news media content in form but not in organizational process or intent and occurred to create false discussion at multiple levels: individual, institutional and societal.In this article we will show you how we can protect our brain from fake news and misleading informatin. Fake news: What exactly is it? Fake news is a kind of yellow journalism or propaganda and fraud that is deliberately designed to deceive readers or mislead readers. First of all, false information is mainly distributed through online social media, traditional print, and broadcast news, but is circulated from time to time through the mainstream media. Generally, such news and stories are either created to influence the thoughts of the people, to push the political agenda, or create illusions and can often be a profitable business for online publishers, often using sensationalist, outright fabricated headlines or dishonest title, to attract people's attention, increase readership, and increase internet click revenue. Fake news stories can deceive people by appearing to be trusted websites or using similar names and web addresses for reputable news organizations. Fake news weakens serious media coverage and makes journalists more difficult to cover important news stories. For media outlets, the ability to attract viewers on their websites is essential for generating online advertising revenue. If publishing a story with false content attracts users, then it gives advertisers the benefit and improves the rating. Easy access to online advertising revenue, an increase in political polarization, and the popularity of social media. Many people now get news from social media sites and networks and it can often be difficult to say whether the stories are reliable or not. 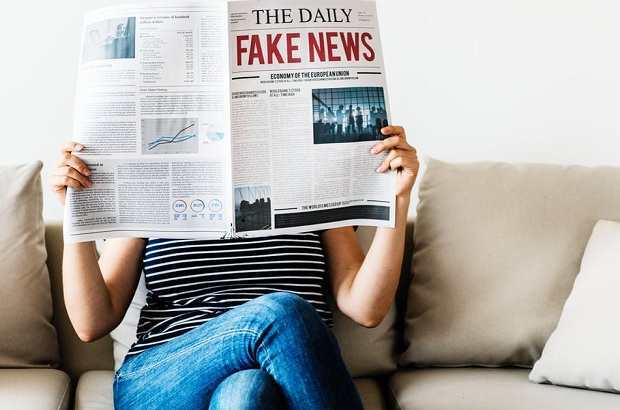 The general lack of information overload and understanding of the work of the Internet by the people has contributed to the rise in fake news or fraud stories. 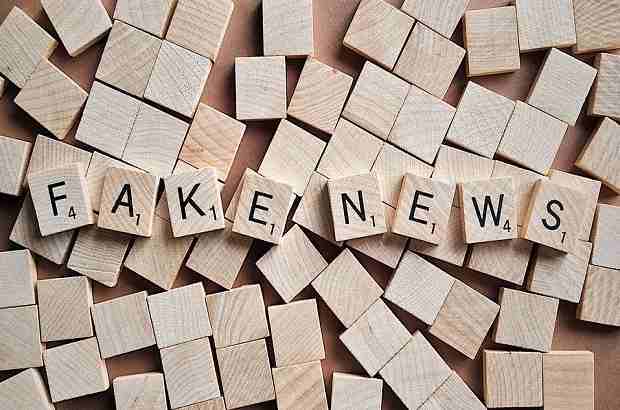 Deliberately misleading and deceptive fake news is distinct from a satire or parody, whose purpose is to entertain rather than mislead its audience. The fake news is not new, however, this time, it has become a hot topic. Traditionally we have got our news from reliable sources, journalists and media outlets that are necessary to adhere to strict codes of practice. However, the Internet has enabled a new way to publish, share, and consume information and news with very little regulation or editorial standards. Click-bait stories that are not completely false can be distorted using deceptive or sensational headlines, and publishers can drive click-throughs on the website, usually at the expense of truth or accuracy. They are deliberately designed to gain more website visitors and increase ad revenue for websites. In other words, click-bat headlines usually aim to take advantage of "curiosity gap", which provides enough information to make readers of news websites curious, but without clicking on the linked content, their curiosity Not enough to complete. This type of news can spread rapidly on social media sites where the entire article title and short snippets are displayed on the audience's news feed. Propaganda or Publicity is information that is not objective and is primarily used to influence viewers and advance the agenda. Stories that are deliberately designed to mislead audiences, promote a biased approach, often by presenting select facts to encourage a particular synthesis or notion, or emotional yield rather than the rational reaction of the information presented, by using the loaded language. Propaganda is often linked to the content created by the governments, but workers groups, companies, and media can also produce publicity or propaganda. Many people are ready for news or stories that confirm their own beliefs or prejudices and fake news can prey on these prejudices. Social media displays news and articles that they think we would prefer based on our personal searches. We all know very well, the internet has made it very easy for anyone to publish content on a website, blog or social media profiles and potentially reach larger audiences. Unfortunately, these days, many websites and social media accounts are deliberately publishing false news stories for entertainment, parody, and promotion. Some journalists or reporters publish such stories with unreliable information or without examining all those facts which can mislead the audience. It is bad for humans and in this case, there is potentially life-threatening illness. How our brain is biologically wired for fake news? Our memory is not like electronic data on hard drives or tampering words. The information is stored through the construction and activity of synapses in the brain. But the cells are not static, they are alive, and in the steady state of flow, a kind of semi-stable balance They respond to stimulation and activity and adapt accordingly. Because human memory is based on the activity of the junction between neurons (axon-to-dendrite). Confirmation bias refers to the tendency of accepting those people who confirm their pre-existing beliefs and ignore them challenging information. "At its core, there is a need to get the brain confirming information that is in line with the current thoughts and beliefs of a person." In fact, someone can say that hard work is done to accept, reject, wrong or distort the mind, whether it is seen as accepting or threatening existing beliefs. "This bias is made in early life because a child learns to differentiate between fantasy and reality. There are many more prejudices and misinterpretations that take an emotional weight and thus affect our memories and distort, as well as mental models from those memories. This distortion is combined with the flexible, adaptable, biological nature of our memories, where tweaked or adjusted in response to experiences after remembering real events, it means that what we remember and what actually the difference in that grows widely. If something is actually happening, then the memory that produces is going to include more sensory information than that which we had dreamed or was told about the second or third hand, and this type such memory has been given priority. When this distinction between real and imagined breaks, then it happens when things like brain hallucinations, psychology, and schizophrenia are there. At this time when fake news and human brain and the flexibility of memory can be found, to encourage people to believe things that are not true in the world, to encourage those who are not truthful for the benefit of those world desires. Because memories and experiences are used by our brain to create a mental model about the deeds of our world, it is confident to believe that we are always completely objective, logical and rational, but it there is only one useful illusion. How much our brains love or ignore fake news? Confirmation bias is a specific type of cognitive bias that inspires us to reduce the information we already believe that seek out and ignore or threaten the facts that threaten what we believe. Studies show that when people are presented with facts that are contrary to their belief, parts of the brain that control logic and rationality become inactive. But, parts of the brain that show emotions may be affected. The human brain is now extremely complex and is much more capable than any other creature. It has beliefs, fantasies, perspectives, and prejudices, which often feed in the mental models of all the world, often through the influence of their memories. Not only our memories are affected, but our response to new events also changes. The challenge to the events is that our mental models of the world can feel 'wrong', can lead to uncertainty, and therefore complete with resistance by the brain; If you are not sure what is going to happen, then there is something dangerous that cannot be prepared for you. This leads to the brain hazard-detection system reaching different degrees, causing stress and anxiety. According to a global report, People are confused about the reliability of "news" and where it comes from. 59 percent of people believe that they were unsure what they see in the media is true and not, while 7 out of 10 said that they worry about fake news used as "weapons" are there. People are vulnerable to fake news in the first place? Are there any strategies that we can develop to save ourselves from lies and falsehood? Psychologists say that it is for this reason that people are faced with counterfeit news as adults in facing childhood strategies. Fake news reaches too many people and spreads very quickly with accurate information. The important thing is that the provision of fake news relies on people's news outlets, and there are many reports that they do not know how to separate the truth from falsehood and lies. Another link between false memories and fake news: the effect of authorization, apparent legitimacy or explicit validity. Humans are a very social species, but are very hierarchical; Our awareness of our position in society, and which is above us or deep, is deeply embedded in the brain. There are many results, one of which is that we believe in people whom we see, respect, or just believe in trust, we often observe our own. A weak patient often relies on the physician, the small children regularly understand what they say to their parents, in the stressful environment of the court, the lawyers can be very scary for the witness and the police offer to invoke immediate obedience. How can we protect our brain from fake news? There are several things to look at while evaluating online content: See the entire article, many fake news stories use to catch the attention of sensational or shocking headlines. Often fake titles of news stories are in all caps and use exclamation points. So first, look beyond the title. Check the source of the story, do you recognize the website? Is this a reliable/reliable source? If you are unfamiliar with the site, see About the section or get more information about the author. Satirical sites are popular online and sometimes it is not always clear whether the story is just a joke or parody. Check the website, is it known for the satire or making funny stories? Are there any sources in the story? If so, then check that they are reliable or if they exist! False news stories often have incorrect dates or changed time limits. It is also a good idea to check the article when it is published, is it a current or old news story? Are your thoughts or beliefs affecting your decision of a new feature or report? So check the facts and prejudices. Can humor protect our brain from the fake news? A positive defense strategy is humor or comedy, given the late-night comedy or political satire, can actually help to change the source of depression , reduce stress and anxiety associated with it, the second incubation occurs, where the channel can change negative emotions to some positive, such as running for the office, marching in opposition, or volunteering for social reasons. A conscious effort to listen to other approaches can help moderate thoughts and make them less extreme. Developing a major degree of suspicion in children, encouraging them to ask and encourage, reduces confirmation bias. During this critical time, parents encourage children to believe because drama games help young people deal with reality and meet social norms. However, the negativity is that children learn that imagery is sometimes acceptable. As children grow up in adolescence, researchers have explained that they develop their own critical thinking skills and begin to ask the figures of their parents or other authorities. However, it can often cause conflicts and worries that are uncomfortable at the psychological level. This is where the partial rationalities come. To avoid conflict and anxiety, people develop counter-repression mechanisms like confirmation bias; Since there can be a confrontation with challenging false beliefs, teens learn to rationalize adolescence and instead accept the falsehood.